Was sent these beers by an import company to review. 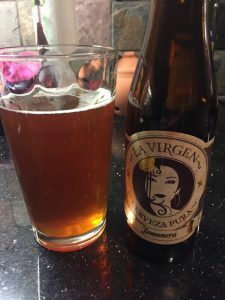 The choices were a beer for Serrano ham, or a salt water beer enjoyed with anchovies. Tough choice, but went for the ham. 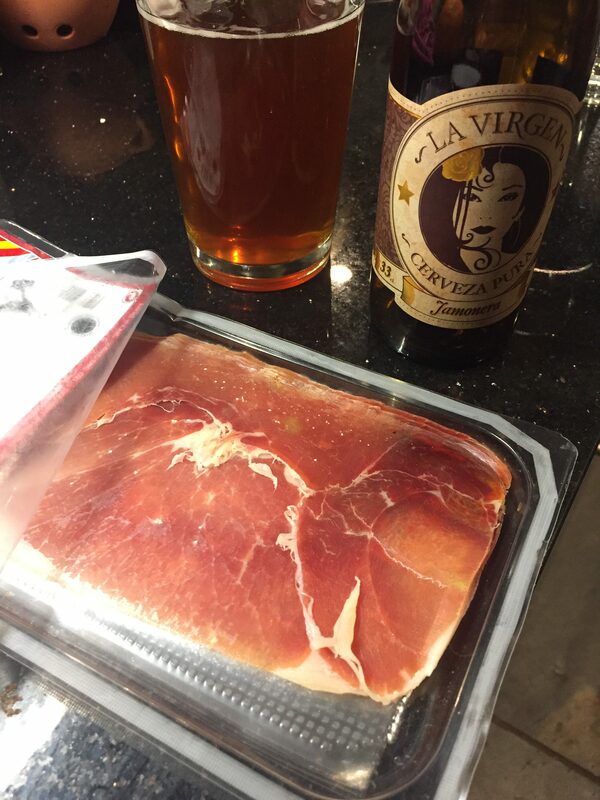 I enjoy dried dry cured ham as much as beer (almost). 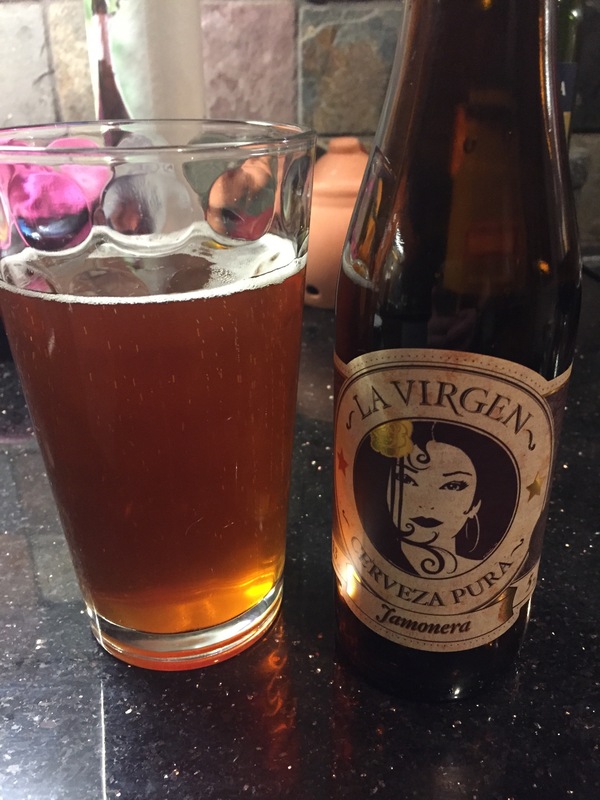 The beer is called “La Virgen Jamonera”. Its not a clear beer, and has a deep golden colouring. and upon opening you are presented with what appears to be quite a flat beer. Barely any carbonation kick back. The aroma is the downside, could put you off. Its quite musty, sweet. Some people might give it a miss and pour it away, however I am a lover of smelly cheeses, so the odour of something doesn’t usually put me off. Its a nice surprise when your smell and taste senses are not on a level which each other. Fairly smooth and yet salty, with the ever so common caramel sweetness, but slightly watery. At first, I was rather unimpressed at the blandness of it. However, with a slice of ham, it all makes clear. When drinking a beer to accompany your food, you don’t want your beer to take over the tastes. So a salty, smokey beer goes pretty much hand in hand with the ham, and the salty ham encourages you to gulp more of the beer. Have to say, it was quite enjoyable drinking beer and rolling up slices of ham.